Gingivitis is a dental problem that occurs when patients don’t take a good care of their oral health. It is characterized by bleeding gums, persistent bad breath and red swollen gums. Patients who notice such problems are advised to contact their dentist as soon as possible to assess the problem and develop a personal treatment plan. This gum disease can be easily prevented by the proper care of the gums and regular visits to the dentist. Gingivitis is only the first stage of periodontal disease and can be reversed by a thorough dental hygiene. In addition, the infection can be treated with antibiotics, in order to reduce the likelihood of its further development. Without any treatment, the disease can progress to the later stages, and as a consequence it can lead to the loss of gum tissue, bone and even your teeth. 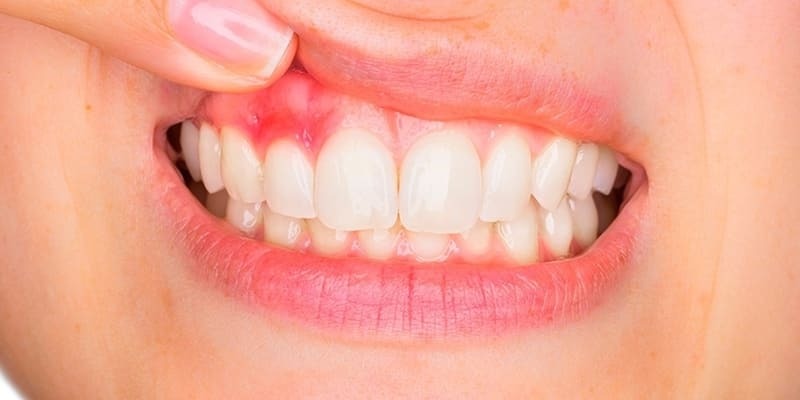 Is it possible to prevent gingivitis? Yes! Gingivitis can be prevented. This can be done with the help of the proper brushing techniques and the use of the dental floss after every meal, as well as regular visits to the dentist. Patients are advised to ask their dentist in Barcelona about the benefits of preventive care. Without preventive care, patients not only put their smiles at risk of a gum disease, but also other problems, such as tooth decay. Book an appointment with Diente Sano dental clinic in Barcelona today to check the condition of your teeth and gums! Call Dr. Olga, a dentist from Barcelona, to schedule an exam and learn more about the treatment of gingivitis. Despite the fact that gum disease can become chronic, this should not have a big impact on your overall oral hygiene, when you are being treated in Diente Sano. Contact us today by 633312126 (whatsapp) and visit our dental clinic in the very center of Barcelona at Ronda de la Universitat, 17, entresuelo 4b.